Independent investigative journalist Dan Dicks of Press For Truth produced a video detailing his interview with the Boston bombing suspects’ aunt where she identifies a naked, cuffed, clearly alive and well detainee seen in video aired by CNN, as her nephew and Boston bombing suspect, Tamerlan Tsarnaev. Tamerlan Tsarnaev would later be announced “dead,” with injuries covering his body from “head to toe.” The aunt is reportedly in fear for her life. As an increasing number of inconsistencies and outright lies accumulate regarding the FBI’s handling of the case, protection must be provided to the suspects’ family. Members of the alternative media with the resources and the ability to provide protective watch over family members, seems a prudent measure to both protect innocent lives and to further pursue the truth. 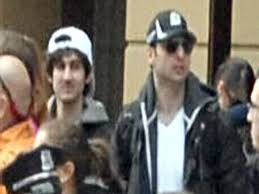 The FBI originally feigned ignorance over the identity of the two Boston bombing suspects, Tamerlan and Dzhokhar Tsarnaev, as they appealed to an unwitting public to help them “identify” and “find” the suspects. However, the case was not “closed,” as the FBI claims. It is now revealed that the “foreign government” that asked the FBI for information on Tamerlan Tsarnaev was Russia, and that Russia again contacted the FBI 6 months ago after the suspect traveled to Russia’s Caucasus region and was apparently in contact with terrorists, long-revealed to be supported, funded, and coddled by the US. Speculation is growing that one of the Boston bombers met a known Jihadist terrorist in 2011 – as it emerged the FBI failed to follow up on a Russian tip that he was seen with an Islamic militant six times. The FBI has confirmed that Russia alerted the agency in 2011 that Tsarnaev had ties to ‘radical Islam’ groups in his homeland. Homeland Security sources have also revealed the agency received tips in 2012 about his ties to extremists connected to a Boston mosque. The FBI is confirmed to be serial liars engaged in a coverup, revealing information about its long-standing relationship with the Boston bombing suspects only when cornered by a mounting body of evidence. Inconceivable then, that the US government and the American public have entrusted the investigation of the Boston bombings to the FBI who is clearly obstructing justice. Now more than ever, crowd-sourced investigation must be conducting into photographs and video that may reveal the true events that transpired before and after the Boston Marathon bombings. Journalists across the alternative media must interview and draw public attention to the suspects’ family in order to protect them and bring to light any information that may reveal the true nature of the increasingly suspicious relationship the FBI had with the suspects for years prior to the bombings. Already the establishment, like a ship striking an iceberg and taking on water, is racing around to compartmentalize and seal off each agency and political faction involved to keep the rest of the establishment afloat. The FBI’s attempt to feign ignorance has failed, and it appears that at least Israeli sources are trying to prepare ahead of time for revelations that may indeed reveal the suspects were working directly for the FBI. A more likely explanation, however, is that the FBI led the suspects along in yet another manufactured terror attack that was allowed to go “live.” The FBI has an extensive history (see: NYT: FBI Hatches Terror Plots) of not only providing targets with weapons, explosives, vehicles and plans engineered from start to finish by undercover FBI agents, but has also allowed these operations to go “live,” as was seen in New York City in 1993 during the World Trade Center bombing. Debka is attempting to preempt what would essentially be the revealing of the US-Saudi-Israeli international false-flag/terror racket, used to perpetuate a global hegemonic war that has produced for all those involved trillions of dollars in profits and unprecedented geopolitical preeminence. Operations where this true axis of terror is currently running, such as the ongoing sectarian bloodbath in Syria, would be endangered, if not entirely foiled, should the Boston bombings be traced directly back to an FBI false-flag operation. Failing to spin the FBI’s involvement as either an intelligence failure or explained away by “double agents,” the faux-right is preparing to pry off the the entire faux-left, using its Islamophobia-racket to play out the “Obama the Muslim” narrative (see: “”Obama the Muslim:” Ploy to Cover-up Years of US-Al Qaeda Support“). By doing so, at least half of the establishment’s “ship” will remain afloat in the wake of revelations the US killed and horribly maimed its own citizens in a false flag operation. While America’s political establishment appears to be divided neatly into “left” and “right” camps, in reality, a singular corporate-financier oligarchy runs a singular agenda, compartmentalized for just these sort of situations. Lies regarding “weapons of mass destruction” and a horrific 10 year war that left millions dead, maimed, displaced or otherwise effected, can be jettisoned with the Bush Administration. And while the arming and funding of Al Qaeda occurred throughout the Bush Administration, it appears that the establishment is preparing to jettison US support for Al Qaeda with the Obama Administration. It is essential to understand and identify the corporate-financier interests that rise above partisan politics and have profited from the continued “War on Terror” under both the Bush and Obama Administrations. It is then essential to understand the key to undermining and ultimately throwing off this insidious co-opt of America, its people, and its destiny, is to boycott and replace permanently with local alternatives, the corporate-financier interests behind it.